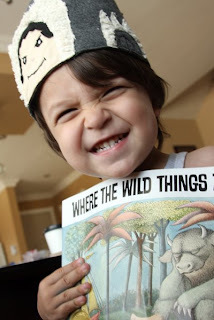 And they made him the king of all wild things….. 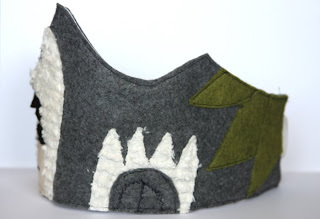 Here is number two in my felt crown challenge. At first I want sure I was liking where it was going….but somewhere along the way…I fell in love with it. “we’ll eat you up, we love you so”…. 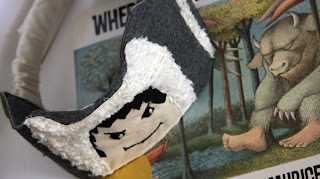 I was thinking it might make a great gift set, story time with this rockin‘ crown. I have received a few suggestions, thanks! One book, I haven’t heard of, so I will do some research. In case you didn’t see my first post, at the end of my challenge, I will post all my crowns. Vote and you may win the story book crown of your choice. 16 comments - join the party! that is one NICE crown!! zoe says: "cinderella!" that's fantastic! Totally diggin' it! I wanna see more! More! More! Thanks Lyn…check back…I will make the crown you suggested!!!! 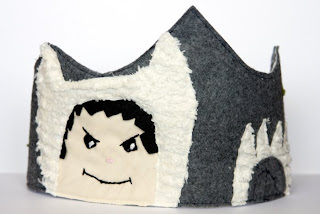 I love felt crowns and your book themed ons are awesome! Very creative, great job! I must come up with some more ideas too. Those crowns are amazing! I love them ! The Crown and Book idea is brilliant. I teach this book every year to my first grade art students and would love to have this super cool crown. I know the words by heart and cant wait for the movie. Love love love this. One of my favorite childhood books and it makes me excited for the movie coming out as well. Great job! 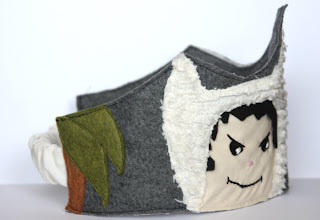 i bet you're an awesome mum being able to make this stuff!! I love the photo of him wearing it lol 🙂 somebody looked happy! oh wow that crown is awesome!! very well done. and I'm RUNNING over to your ETSY store right now!!!! I like your crowns. I would have loved one as a kid.